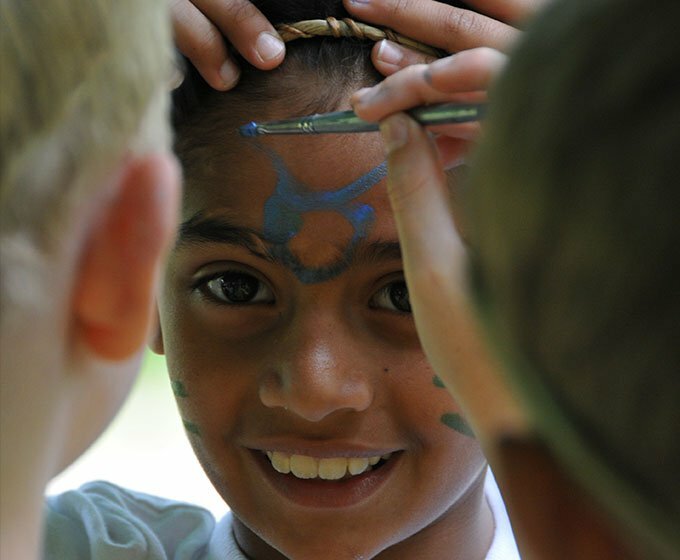 Celtic Harmony Camp provides a full day of hands-on challenges from 10am until 2.30pm or 3pm for up to 150 children per day. Enquiries for larger groups are welcome and are dealt with on an individual basis. Children will have a unique opportunity to trade and role play using real Artefacts in the Numeracy Challenge, they are Farmers, Hunters, Miners etc. and trade for goods of different values. Then the children use Maths to convert their trip pocket money into reproduced Celtic coins, to choose a souvenir from the Trading Post. In order for the children to take part in the Numeracy Challenge, please ensure that they bring pocket money to trade in the shop, as the two activities are run together (suggested spending money £2 – £5). If you prefer we can prepare gift bags in advance for a certain value. Please notify us in advance if you don’t wish to do the trading. Please choose your preferred date (start date for residential bookings) in the form below. Your Free Teacher Pack will be sent as confirmation of your booking. Get your Free 26 page Prehistory Lesson Plan with Cartoon Resources when you sign up for News Letter!